Thank you to our good customers Mr and Mrs Lappin for letting us take some photos of their new Next 125 kitchen. 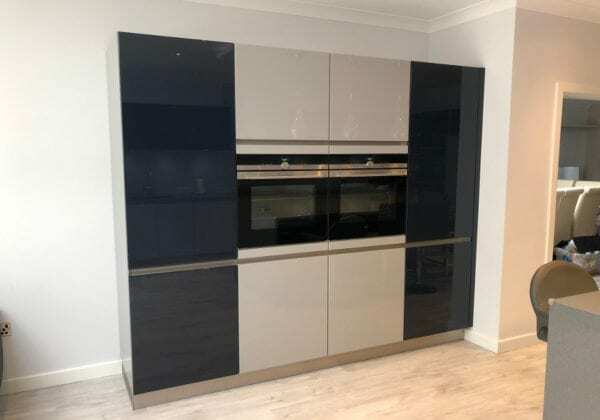 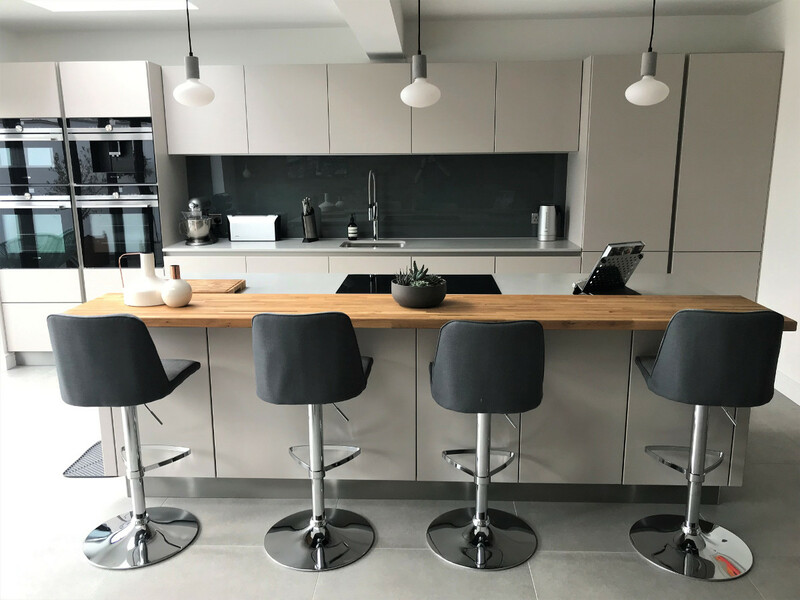 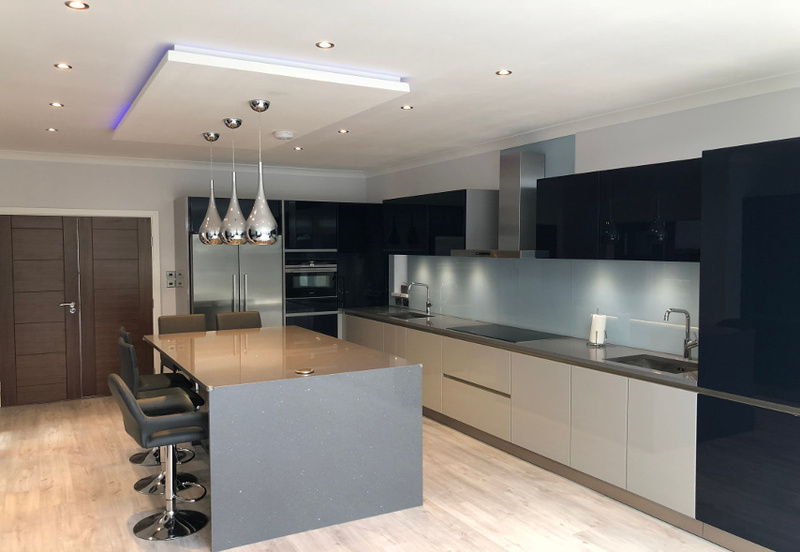 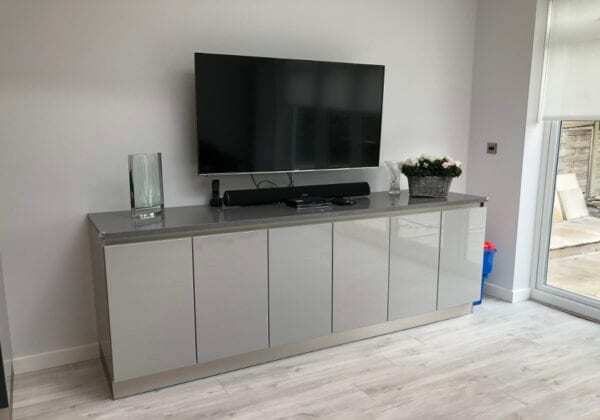 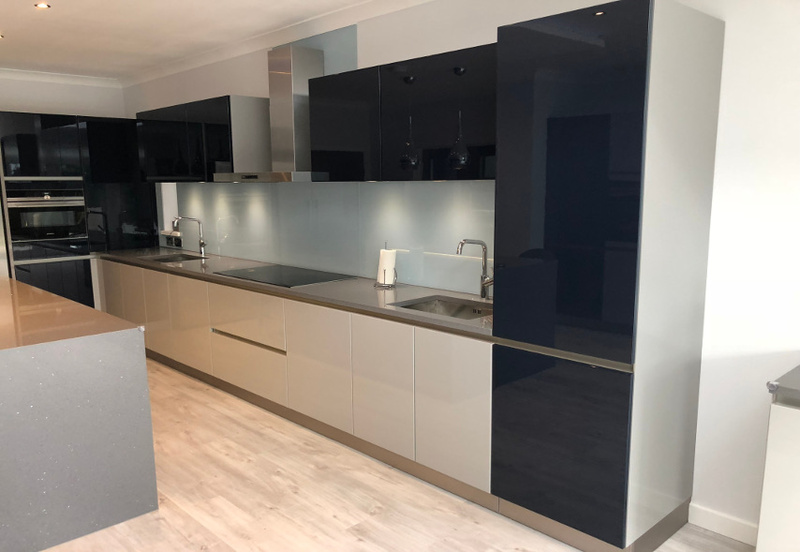 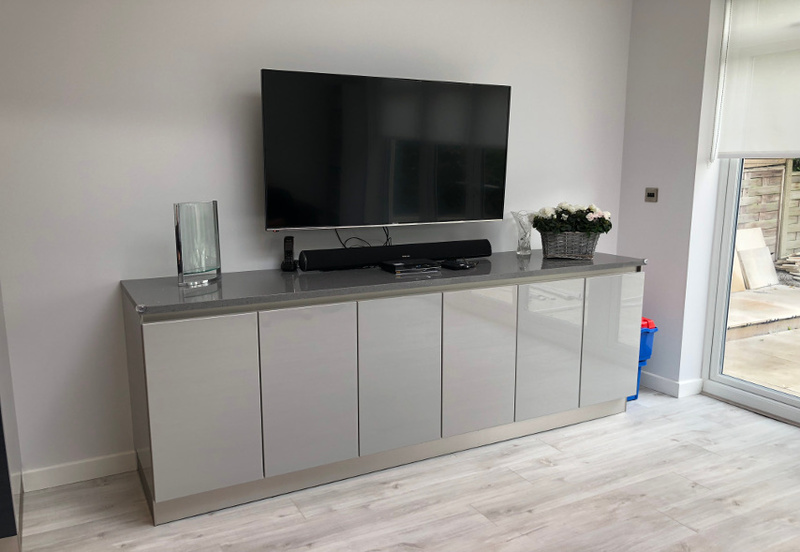 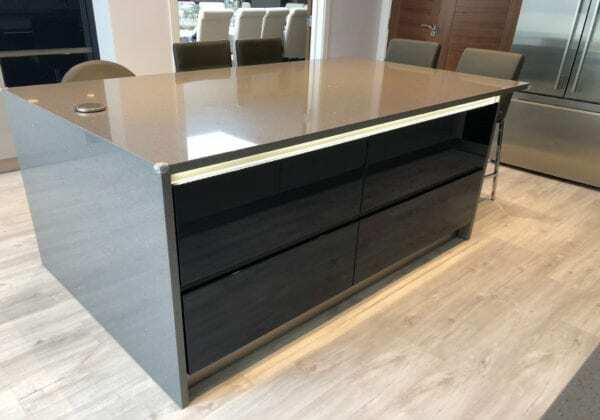 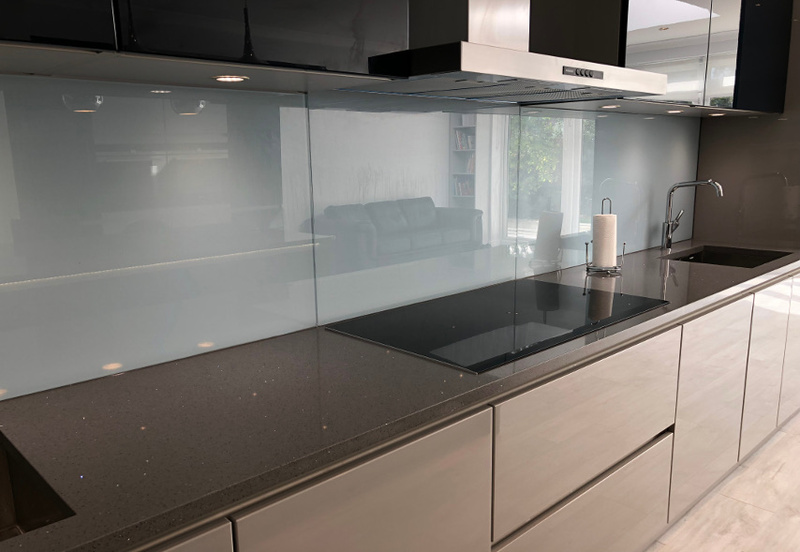 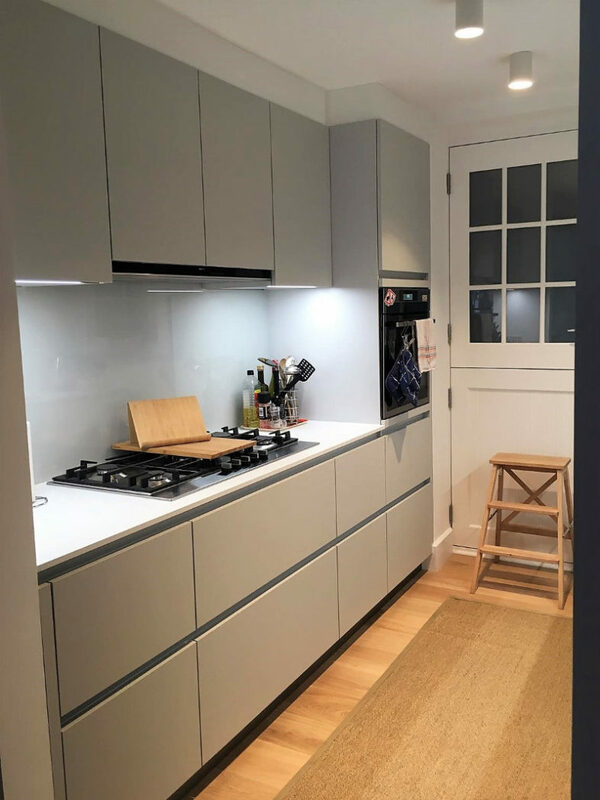 The design combines Indigo blue high gloss lacquer with Stone grey high gloss lacquer to impressive effect and features 30 mm Grigio Stellar quartz stone worktops. The two colours are complemented very well by the more neutral tones of the blue/grey toughened glass splashback.